Google Search Command Line Interface is possible – a basic Perl script can list the websites or you can use an unix-shell like web interface to perform search. 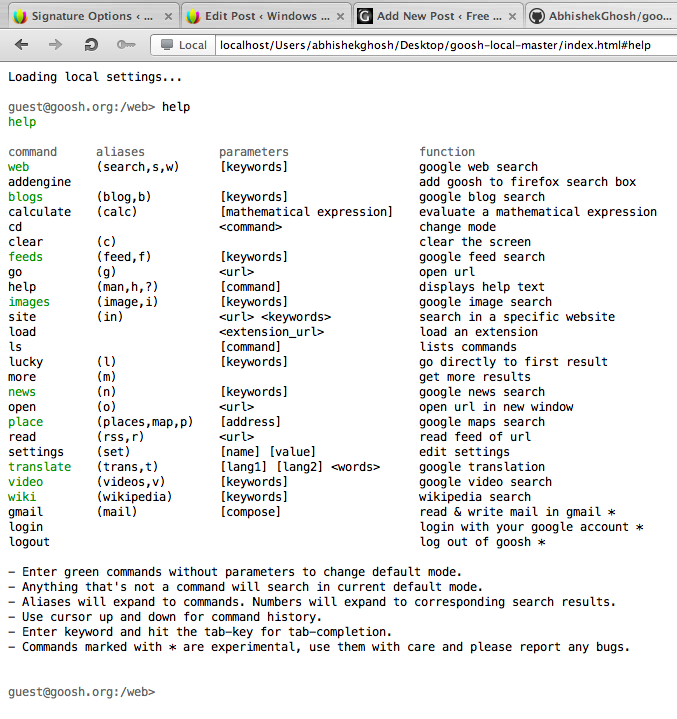 Goosh is the prototype example of such Google Search Command Line Interface. For unknown reason, the Google Project page of Goosh is not available anymore. However there are forked versions. The sceenshot is self explanatory. Obviously, if you put it on Dropbox like our Cloud Music Player or Rackspace Cloud Files or may be on a free PaaS like Heroku Cloud or App Fog (search in this website for detailed guides on how to use). For Windows, you need to customize Console2 like application. 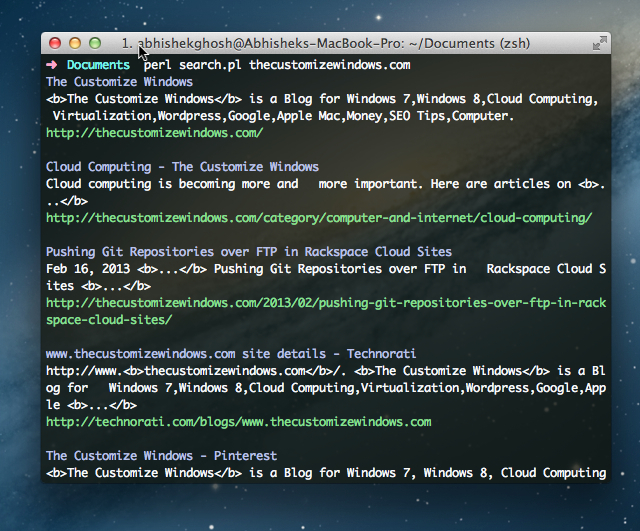 This is all about Google Search Command Line Interface. If you know any advanced Google Search Tool that works from pure Command Line Interface, let us know via comments. This Article Has Been Shared 7046 Times! Play Youtube Video on Mac, Windows PC, Linux Using VLC Player in few easy steps. The difference with Akamai or Rackspace Cloud Sites or even Amazon is speed. Cite this article as: Abhishek Ghosh, "Google Search Command Line Interface : Web Interface and CLI Script," in The Customize Windows, March 9, 2013, April 21, 2019, https://thecustomizewindows.com/2013/03/google-search-command-line-interface-web-interface-and-cli-script/.